NMFS/Sea Grant Fellowship Deadlines Extended! NOAA recently announced that the deadline for NMFS/Sea Grant fellowship funding opportunities is now EXTENDED! 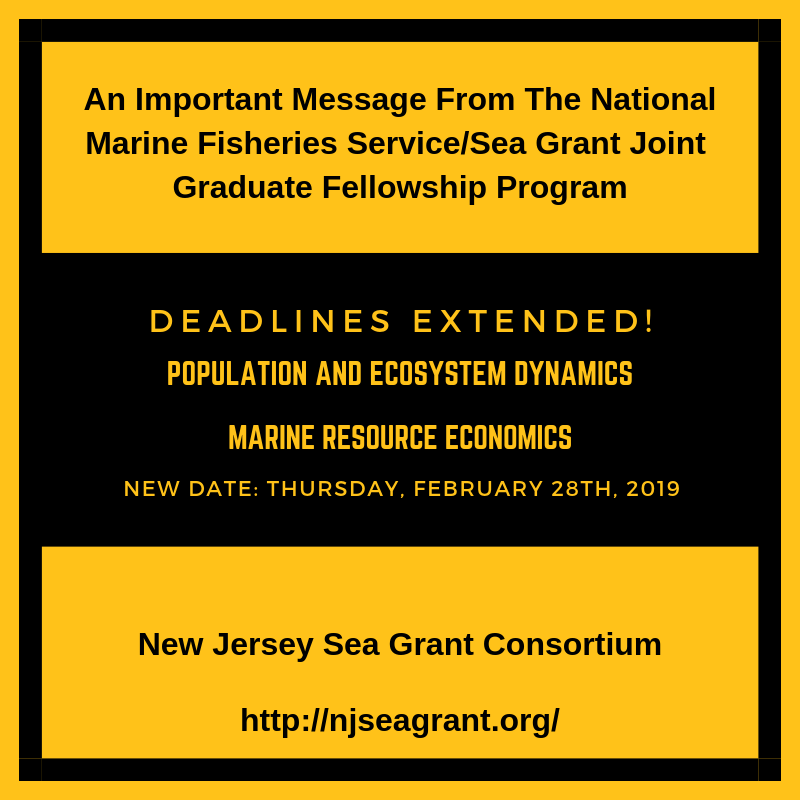 Applications for the 2019 NMFS/Sea Grant Fellowship Program in both Population and Ecosystem Dynamics AND Marine Resource Economics are now due to local Sea Grant offices by Thursday, February 28th, 2019 (5pm EST). The previous deadline was set for January 30th, 2019. Please visit NJSGC’s research website for more information.